Rebecca Jones – Rebecca Jones is a Lecturer in the Department of African Studies and Anthropology, University of Birmingham. Rebecca is currently writing a book on Yoruba- and English-language travel writing in Nigeria from the early twentieth century to the present day. Katie Reid – Katie is lecturer in global literary and cultural studies, and critical theory, with an area focus in southern Africa, working at a number of universities in South-East UK (including University of Portsmouth, University of Chichester, SOAS, and the University of Brighton). Katie’s DPhil research (Sussex, 2017) explored contexts of reception of post-apartheid literature through the work of Ivan Vladislavić, a writer, editor, and art-essayist, who was also Social Studies and Fiction Editor for anti-apartheid press, Ravan, and assistant editor for the groundbreaking protest magazine Staffrider in the 1980s. Stephanie Santana is Assistant Professor at the University of Michigan, having successfully completed her doctorate in African and African American Studies at Harvard University in 2015. Her work focuses on southern African literary networks and the migration/transformation of genres in the region. Stephanie lived and worked in southern Africa from 2005-2008 and is the assistant editor of The Face of the Spirit: illuminating a century of essays by South African women (2007) and co-editor of Winning Stories from the Malawian Girls’ Short Story Competition (2009). Kate Wallis (Haines) – is a Lecturer in Global Literatures at the University of Exeter. Her research has explored the ways in which writing by African, namely Kenyan and Nigerian authors published since 2000, have intervened in the creation of cultural memory. She was previously Head of Humanities at Palgrave Macmillan, Associate Editor for the Kwani? Manuscript Project, and is now Editor at Huza Press. Kristen Stern is Visiting Assistant Professor in the Department of French & Francophone Studies at Davidson College (North Carolina, USA). She is at work on a book on contemporary francophone writers from the African continent and the performance of authorship. She regularly presents and publishes on contemporary African literature in French, performance studies, and the sociology of the author. She received her Ph.D. from Boston University. Joanna Woods is currently Lecturer in the English Department at the University of Malawi. Her BA and MA degrees are in African Studies from the School of Oriental and African Studies and the University of Copenhagen respectively. Her main research interests are in Malawian contemporary literature and the creative imagination as currency in Malawian speculative fiction. She has recently been involved in working within the space between theory and praxis in Malawi: engaging the academic space with the public space. Joanna has a book published: Negotiating Ideas about Home in Malawian Poetry (2015); she is on the editorial panel for the publishing group Langaa RPCIG; and she is currently working on a novella which rethinks international involvement in Africa. David Borman is the reviews editor for Africa in Words for 2017-2018. He received his Ph.D. from the University of Miami and teaches courses on literature and writing at Bellarmine University in Louisville, Kentucky. Réhab Abdelghany – Réhab Abdelghany is Assistant Lecturer in the Department of English, Cairo University, and is currently PhD candidate in the School of English, University of Sussex, where she works on Nigerian, Egyptian-Nubian and New Zealand Maori literatures. She writes for Africa in Words and previously wrote for several Anglophone newspapers and magazines in Egypt. Leye Adenle – Leye Adenle is an actor and a writer. His first book Easy Motion Tourist was published in April 2016 by Cassava Republic. Follow him on Twitter @LeyeAdenle. Ifeanyi Awachie – Ifeanyi Awachie is a Nigerian-American writer and curator of AFRICA SALON, a contemporary African arts and culture festival. A graduate of Yale University, Ifeanyi founded AFRICA SALON while working as a presidential fellow on the Yale Africa Initiative. With a Bachelor of Arts in English and creative writing, Ifeanyi also works as a spoken word poet and freelance writer for media such as Africa in Words and Okayafrica. She is author of Summer in Igboland, a work of personal nonfiction and documentary photography based on her experience visiting her birth country, Nigeria, for the first time. She won the Tristan Perlroth Prize to support her research on the book and showcased her photographs in multiple exhibits at Yale. Ifeanyi is based in New Haven, Connecticut. Pelu Awofeso – Pelu Awofeso is an award-winning travel writer and culture reporter. Author of three books, he also blogs at wakaabout.wordpress.com. 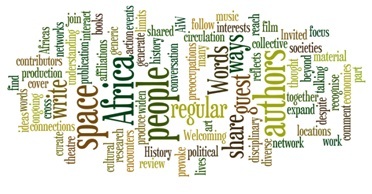 Read more about Pelu’s travel writing in this interview with Africa in Words. Ed Charlton – Ed Charlton is a Mellon Fellow in Cities and Humanities at LSE Cities. He holds a PhD in English from the University of Cambridge and is a founding member of Writing South Africa Now. Shadreck Chikoti – Shadreck Chikoti is a Malawian writer and social activist. He was listed by CNN as one of seven must-read African authors. He has won numerous literary awards and was recently nominated by the Africa39 project as one of the “most promising African writers under 40.” An excerpt from his futuristic satire, Azotus the Kingdom, was published in Africa39: New Writing from Africa South of the Sahara. Chikoti’s work also appeared in the 2011 Caine Prize anthologfy To See the Mountain and Other Stories. He lives in Malawi with his wife and children. Carli Coetzee – Carli Coetzee is a South African-born academic living and working in the UK. Her book Accented Futures: Language Activism and the Ending of Apartheid was published in 2013, and she is the co-editor of the collection Negotiating the Past: The Making of Memory in South Africa. Her current project is on blood and secrets. She is the editor of the Journal of African Cultural Studies. Helen Cousins – Helen Cousins is a Reader in Postcolonial Literature at Newman University, Birmingham, UK. Her current research project is in Black British writing, canonicity, and belonging. However, her PhD looked at gender violence in African women writers and notions of African feminism. She continues with some research in African literature as another research interest. Publications forthcoming in 2016 include a guest-edited volume of African Literature Today on the theme of ‘African Returns’ and a chapter entitled ‘Black British Writing and an English Literary Belonging’ in K. Andrews and L. Palmer edited Blackness in Britain (Routledge). Dare Dan – Dare Dan is a graduate of University of Ilorin, Nigeria. He lives and works in Lagos where he writes nonfiction and curates monthly spoken word events with AJ House of Poetry and Goethe-Institut, Lagos. His writings are works of social criticism, and have appeared in Music in Africa, Olisa.tv, Lagos Film Review, and he’s written film reviews for Lights, Camera, and African Film Festival. He is a member of the Lagos Film Society. Iquo DianaAbasi Eke – Iquo DianaAbasi Eke loves to perform poetry, yet dazzles with her fiction and nonfiction. Her writings appear in the Kalahari Review, Saraba Magazine, ANA Review and Olisa.tv. In 2013 her first poetry collection, Symphony of Becoming, was shortlisted for the NLNG Nigeria Prize for Literature and the ANA Prize for Poetry. She occasionally blogs at iquoeke.blogspot.com. Anthea Gordon – Anthea Gordon used to live in Nigeria where she worked for Cassava Republic Press. She has a Master’s degree from King’s College London, and is currently living in Nepal. Sarah Jilani – Sarah Jilani is a London-based freelance writer for publications including ArtReview, The Times Literary Supplement, and the Economist. 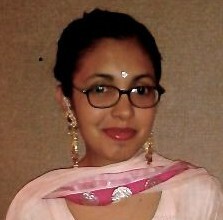 A graduate of the Master of Studies in English (1900-Present) from the University of Oxford, her research interests are anti-colonial and resistance literature and film from African and South Asian independence periods. Her research has been published in Senses of Cinema (68, 2013), Life Writing (11:4, 2014), Postgraduate English (29, 2014), Literature/Film Quarterly (43:2, 2015) and the Oxonian Review (30:2, 2016). Katarzyna Kubin has authored and contributed to numerous publications on issues related to migration, equality and social integration. She is co-founder and current Executive Board member of the Foundation for Social Diversity (FSD), a non-government organisation based in Warsaw, Poland, that deals with issues of migration, equality and social diversity. She is currently completing doctoral research at the School of Oriental and African Studies (SOAS), University of London, based at the (CCLPS). Her PhD explores how affect manifests in postcolonial texts, with the aim of critically engaging with issues of representation and authorial ethics. She has taught at the undergraduate and post-graduate level (postcolonial theory, literary criticism, critical theory), as well as outside the formal education system. Khalid Lyamlahy – Khalid Lyamlahy is a doctoral researcher at the University of Oxford working on Moroccan Francophone Literature. He initially graduated as an engineer and worked in Paris and London as a project manager before moving to Oxford. He holds degrees in French and Comparative Literature from Université Paris 3 Sorbonne Nouvelle and regularly contributes to research journals and literary reviews. Beyond the scope of his thesis, his other research interests include contemporary Francophone literature (especially in the Maghreb), autobiographical writing, and literary theory. Rehaana Manek – Rehaana Manek is an artist, writer, and PhD student in Anthropology at York University. Her research focuses on youth, politics and art in the city, and the ways in which race and creative mediums of expression intersect and open up opportunities for political engagement. She also does work in Youth and Education in Toronto. Bwesigye Bwa Mwesigire – Bwesigye Bwa Mwesigire is a 2015-2016 MSc Fellow at the African Leadership Centre, King’s College, London. His current research explores the leadership of Ngugi Wa Thiong’o and Ken Saro Wiwa. His other interests include law and literature, early travel writing in Rukiga, love in African literature, and Pan-Africanism. Bwesigye taught Law and Human Rights at various Ugandan universities. Thando Njovane – Thando Njovane is a literature PhD candidate interested in psychoanalysis, philosophy of language, trauma, embodiment, and African and Japanese fiction. She has published peer-reviewed articles on African fiction, embodiment, and trauma theory in the postcolony and contributed a chapter to the volume Being at Home: Race, Institutional Culture and Transformation in South African Higher Education Institutions (UKZN Press, 2015). Njovane is also the founder and chair of Finding Africa, an independent, cross-continental, interdisciplinary postcolonial African Studies platform associated with various bodies, including the University of Leeds’ Centre for African Studies. Tom Penfold – Tom Penfold is a post-doctoral research fellow at the University of Johannesburg. He received his PhD in African Studies at the University of Birmingham in 2013. He is currently working on two new research projects; one is a comparative project looking at representations of identity in Brazilian and South African literature, the second investigates the importance of graffiti and street art in mapping the urban environment. He has also published on Black Consciousness poetry and performance culture in South Africa. Ranka Primorac – Ranka Primorac teaches at the Department of English, University of Southampton. Jovia Salifu – Jovia Salifu is a Ghanaian doctoral student at the University of Birmingham. His research explores the impact of women’s access to microcredit on household gender relations in Ghana. Jovia also loves to write and publishes his own blog at josalifu.wordpress.com. Uche Peter Umez – Uche Peter Umez is a poet and short fiction writer. An alumnus of the International Writing Program (USA), Uche has participated in residencies in Ghana, India, Switzerland, and Italy. He was one of the winners of the Commonwealth Short Story Competition in 2006 and 2008, and was shortlisted for the Nigeria Prize for Literature in 2007 and 2011. He is the author of two poetry collections, Dark Through the Delta and Aridity of Feelings, and a short stories collection, Tears in her Eyes. His children’s books include Sam and the Wallet, The Runaway Hero, The Boy Who Throws Stones at Animals and Other Stories, and Tim the Monkey and Other Stories. Joanna Woods – Joanna Woods holds a Bachelor of Arts in African Studies from the School of Oriental and African Studies (SOAS) in London, and is a graduate of the University of Copenhagen. A literary enthusiast, she has a recent publication about Malawian poetry and, as a particular interest of hers is now contemporary literature, she aims to write more. Kate Haines – DPhil student in the School of English at the University of Sussex. Her research explores the ways in which writing by Kenyan and Nigerian authors published since 2000 has intervened in the creation of cultural memory. She was previously Head of Humanities at Palgrave Macmillan and is currently Associate Editor for the Kwani? Manuscript Project. Katie Reid – Katie is a senior lecturer in global literary and cultural studies, and critical theory, with an area focus in Southern Africa, working at a number of universities in South-East UK (including University of Portsmouth, University of Chichester, SOAS, and the University of Brighton). 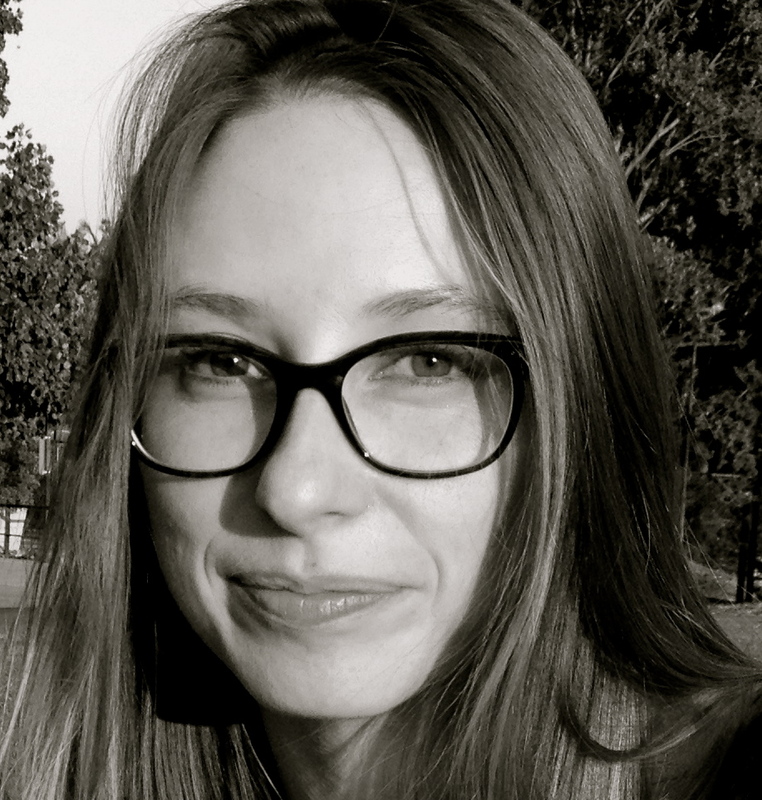 Katie’s DPhil research (Sussex, 2017) explored contexts of reception of post-apartheid literature through the work of Ivan Vladislavić, a writer, editor, and art-essayist, who was also Social Studies and Fiction Editor for anti-apartheid press, Ravan, and assistant editor for groundbreaking protest magazine Staffrider in the 1980s. Charlotte Hastings – Dr Hastings works on the intersection between gender, education and Africa, most recently in terms of the work of a early 20C teacher in colonial Lagos. Fascinated by texts of all kinds, Igbo-learner, book junkie and Freshlyground fan. Teaches African history, gender history and interdisciplinary gender and urban studies. (2015-16- Reviews) Rashi Rohatgi has a PhD in Languages and Cultures from SOAS. Her fiction can be found in The Misty Review, her poetry in Allegro, and her academic writing in Matatu,Wasafiri, and other journals. Her recent monograph, Fighting Cane and Canon, is about World Literature in Mauritius. 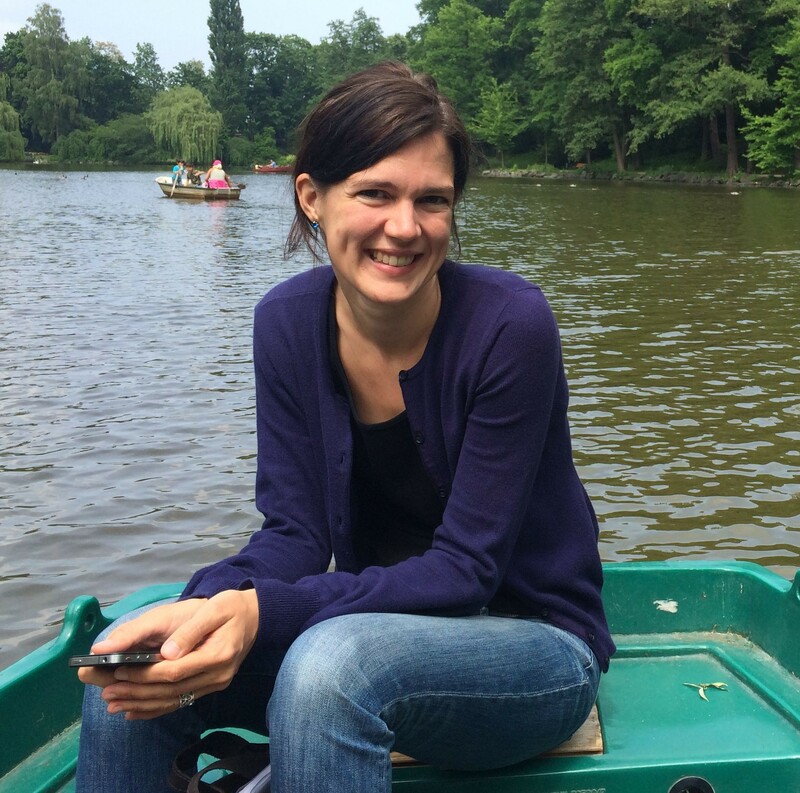 (2016-17 – Reviews) – Tamara Moellenberg is a DPhil candidate in English at the University of Oxford. Her doctoral research examines representations of child figures in selected Anglophone West African novels. She has taught courses in postcolonial, African, and children’s literature. (During her time with AiW…) Miriam Pahl [was] a PhD candidate and teaching assistant at SOAS in London and focuses on contemporary African literature in English. In her work, she explores the concept of the human and personhood in genre fiction by authors in Africa and the diaspora. She is at home in London, Nairobi and Bremen. Matthew Lecznar is a PhD student at the University of Sussex, and a former member of the editorial team at Africa in Words. His doctoral research considers the artistic legacies of the Nigeria-Biafra war, and he is more broadly interested in the ways artists respond to conflicts in a range of different forms and media. He has published articles on the fiction and celebrity of Chimamanda Ngozi Adichie, and is an editorial assistant for Africa in Words. Nneoma Amadi-obi ( -2017) graduated with an MA in African Studies from SOAS. Passionate about literature, she is particularly interested in narrative non-fiction and literature in translation. (During her time as AiW’s Editorial Assistant 2014-15) Nomonde Ntsepo is pursuing her Masters in Modern and Contemporary Literature, having earned her undergraduate degree in English at the University of the Witwatersrand in Johannesburg. She is particularly interested in contemporary literatures of African migration. (As AiW’s Events and Social Media Assistant Ed in 2014) Lilly Kroll is a graduate from the University of Sussex, where she completed a dissertation on diasporic identity and Afropolitan imaginings in the writing of Taiye Selasi. She is interested in the marketing and reception of contemporary anglophone African literature, states of in-betweenness, and West African stringed instruments. She has not yet found a way to combine these three things but is working on it. (Editorial Assistant 2014 – at that time…) Rachel Knighton is a PhD student in the Faculty of English at the University of Cambridge. Her research looks at postcolonial African prison narratives.